Who would hate on bagged milk? Poor souls. Forgive them for they do not know better. Bagged milk for life. EASTERN Canada, EASTERN. We don't have that nonsense out west, we had it briefly and everyone realized how stupid it was. So, when you're finished, do you fold up the top part of it or anything, or just kinda leave it open? Or, do you have like clothes pins, "chip clips," or anything specific for milk? Because if not I have a line of products I want to make. It'll basically be a sealing system in the shape of, like, TinkerBelle, and it'll be called "The Dairy Fairy," and it'll seal up your milk for you when you're done. I imagine I could spin this into a trillion dollar idea, if only the population of Canada was larger than California. No, you don't seal it or need to. It doesn't need to be resealed. I guess topicstarter also prefers boxed wine? TIL OP doesn't know that all of Latin America has bagged milk. Forget other countries. I was shocked when we moved to Alberta and they didn't have any. I always knew there was something off about this province. Bags are a more natural environment for the milk. It allows the milk to flow and be itself. Bags to milk, is like butter to toast. It just makes sense this way unless you're lactose intolerant. Don't be a drag, put your milk in a bag. 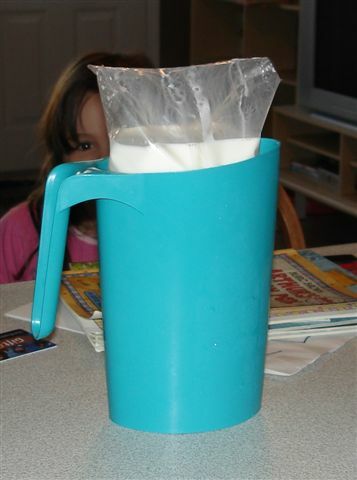 Growing up, bagged milk was super common in Vancouver. Then around the mid to late 90’s you couldn’t find it anymore. Yep, I lived in Argentina for two years... they had bagged everything. Milk, yogurt, mayonnaise, ketchup, barbecue sauce, etc. etc.. I personally hated bagged milk because it wasnt resealable and it absorbed the taste of everything in the fridge. Many people down there though dont like drinking milk so, they mainly use it as an ingredients for something else. Yep, I lived in Argentina for two years... they had bagged everything. Milk, yogurt, mayonnaise, ketchup, barbecue sauce, etc. etc.. I personally hated bagged milk because it wasnt resealable and it absorbed the taste of everything in the fridge. Many people down there though dont like drinking milk so, they mainly use it as an ingediant for something else. I've never found that it absorbs the taste of everything else in the fridge. At least, not our Canadian milk. this thread is making me sick. what's next, bagged shampoo? What's wrong with bag shampoo? Ain't it common as refill package? Yep, I lived in Argentina for two years... they had bagged everything. Milk, yogurt, mayonnaise, ketchup, barbecue sauce, etc. etc.. I personally hated bagged milk because it wasnt resealable and it absorbed the taste of everything in the fridge. ...Are you sure it was milk? What is wrong with bagged milk?! Like seriously, it ia not using the expensive tetrapack package so it's cheaper. Also the milk in tetrapck packege are much more processed because they have to kill every single bacteria in them, while these bagged milk are far less processed, since they have a shelf life of ~3 days. They probably don't exist in Vancouver anymore, or are rare at least. I know I haven't seen bagged milk in at least a decade maybe 2 decades here in Edmonton. We used to buy bagged milk when I was a kid though. Doesn't it get annoying when you've only got a tiny bit left in the bag? Or you forget how much milk is left and you tip the container over and you tip too far and the whole thing slides onto your counter? That's what I imagine happening if I imagine myself handling bag milk. Yeah, I don't get people. It's a better option. Also, the containers are hard plastic (you only need to buy one and it'll last you a lifetime if you wash it and don't abuse it). They don't tip easily and the milk doesn't spill unless you spill it yourself. The handles are very solid and the weight isn't a problem. It's simple. as an indian I am so very very confused by this. I havent seen bagged milk in my almost 30 years of living in Canada. Must be an eastern thing. In western Canada its usually a carton or jug. 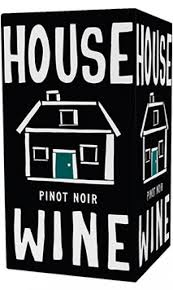 While I am anti-bagged milk, in the last 5 years you can get pretty good wine in boxes. It started as kind of a joke from a handful of hip wineries back 5, 10 years ago, but now it's really taken off. 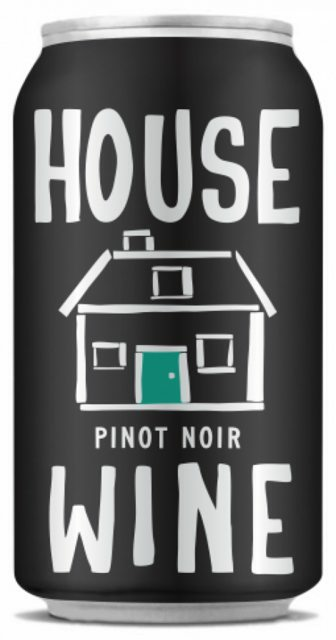 THe winery/brand 'House Wine,' makes bagged and boxed wine and their Pinot Noir and dry Riesling are both really good, solid ~$15-$20 wine. It kinda started as a joke but... it's great. Esp. if you go out to a lot of BOYB places, boxed wine/canned wine is great now that you're getting good wine in the box/can/etc. Man the payoff was worth it. For all the annoyances of German supermakerts (REWE, Edeka, Real, etc.) at least the serve milk in cartons with a plastic screw off top. Jugs takes up valuable fridge space and are also wasteful (environmentally). In my fridge, we have a special compartment for the milk bag and it takes up almost no additional space at all. It's not like you lubricate the bag before you put it in the container lol. Plastic bags stick to plastic especially when it gets some condensation on the outside of the bag. Plus if you notice the container narrows at the bottom so the bag goes in snug, it really doesn't slide out that easily. In fact when the bag is empty you usually have to give it a gentle tug to get it out of the container. The only thing is if you cut the hole too big the bag can droop when you go to pour and it can spill easily so you end up having to hold the opposite corner. So...do you cut the bag and just leave it open sitting in I assume a pitcher of sorts? Or do you just pour the milk into a pitcher then discard the bag? Interesting, America won't ever switch to bagged milk. Though a few American companies are switching to biodegradable cartons. First time I saw bagged milk was in New Zealand about 14 years ago. Not sure if it's widespread there. I saw it in Tunisia too 20 years ago when I was a kid in vacation there. That's how they sold the milk straight from farmers of the surrounding area every morning. No brand, just some milk in a basic plastic bag. The vision still haunt me to this day.